The value of a life saved. It's hard to put that in numbers. What we can quantify are the number of available resources available for search and rescue. You, the shipping community, help us increase the numbers of available search and rescue resources. In other words, you help increase the likelihood people in distress at sea will be saved. How do you do that? By enrolling in Amver. Here's the list of the latest members of the Amver safety network. Is your vessel listed this week? It could be if you decide to enroll your vessel in Amver. Joining is easy and the dividends are huge. You'll be helping ensure no call for help goes unanswered. Now, help us welcome the latest members of the Amver team. Australian Maritime Safety Authority (AMSA) officials report an Amver participating tanker rescued ten Taiwanese fishermen after their vessel caught fire and sank in the middle of the Indian Ocean on Wednesday, August 13, 2014. AMSA rescue personnel identified the Amver participating tanker, High Pearl, and requested the ship divert to assist the fishermen. The Singapore flagged tanker arrived on scene and reported ten fishermen had abandoned ship on a rubber mattress. All ten crew members were rescued without incident. The High Pearl, on time charter with d'Amico of Italy, will continue on a voyage to Durban, South Africa where the fishermen will disembark. The High Pearl enrolled in Amver on December 16, 2009 and has earned one Amver award for participation. Braving the forces of Hurricane Julio an Amver participating container ship rescued three people from their sinking sailboat approximately 360 miles northeast of Oahu, Hawaii on Sunday, August 10, 2014. For video of the sailboat click here. U.S. Coast Guard rescue personnel in Hawaii received a call that the sailing vessel Walkabout was disabled and taking on water. The yachtsmen reported their life raft was deflated and they did not have an Emergency Position Indicating Radio Beacon (EPIRB) on board their boat. Coast Guard personnel requested a hurricane hunter aircraft divert and make radio contact with the sailboat. The crew of the Walkabout reported to the hurricane hunter aircraft they "... were confident in riding out the storm..." until 20 minutes later when their main hatch blew off and the boat began taking on even more water. Coast Guard personnel launched additional rescue aircraft from Air Station Barbers Point and used the Amver system to send the 711 foot container ship Manukai to rescue the stricken yachtsmen. The Manukai, managed by Matson Inc., is no stranger to search and rescue having saved an Air Force pilot after he ejected from an F-16 over the Pacific Ocean in 2012. The Manukai arrived on scene and tried several attempts to pass a line and six-person life raft to the sailboat. The crew of the Manukai reported weather conditions were winds more than 25 knots and waves approximately 20 feet. The crew of the container ship reported the three sailors were uninjured and decided to wait until first light to for further rescue attempts. At first light the crew of the Manukai was able to rescue the three sailors using the container ship's Jacob's Ladder. The survivors were being evaluated by the crew but appeared uninjured and would remain aboard the Manukai until it reached Honolulu. The sailboat was left adrift. Who joined Amver this week? 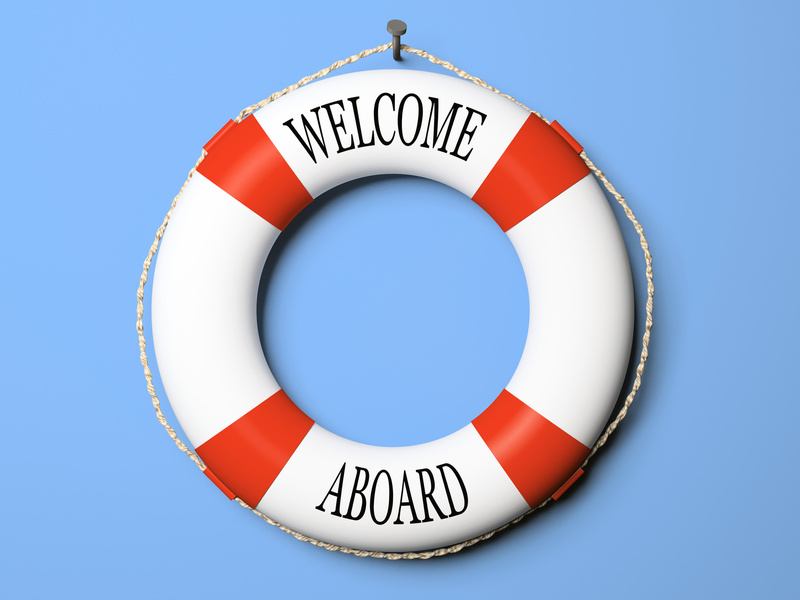 Here is the list of the latest vessels to enroll in the Amver safety network. Joining isn't mandatory. Joining isn't easy. In fact, your crews will likely have to send their reports manually to Amver. Is the extra burden worth it? You bet it is. So if you aren't enrolled, consider joining today. Now help us welcome the newest Amver ships. We're not picky. Those in distress at sea don't care your political ideology, flag state or religion. If you're a seafarer and crew a ship that isn't part of the Amver system will you reconsider? Join us. There is a brotherhood, a brotherhood of those that go to sea. Together we can save lives. Enroll your ship today and help us make sure no call for help goes unanswered. Now, help us welcome the newest members of the Amver family. 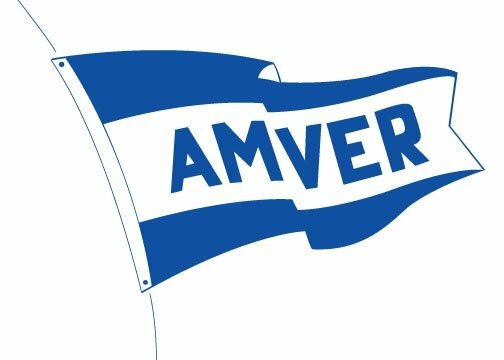 Amver participating cruise ships assisted in the rescue of 42 Cuban migrants last month. Two Carnival ships and Royal Caribbean vessel were quick to spot migrants in distress or otherwise disabled vessels. The second case occurred on July 19, 2014 approximately 80 miles southwest of Dry Tortugas, Fla. This time the crew of the Carnival Conquest notified the Coast Guard of 2 migrants attempting to row to Florida in a small boat. 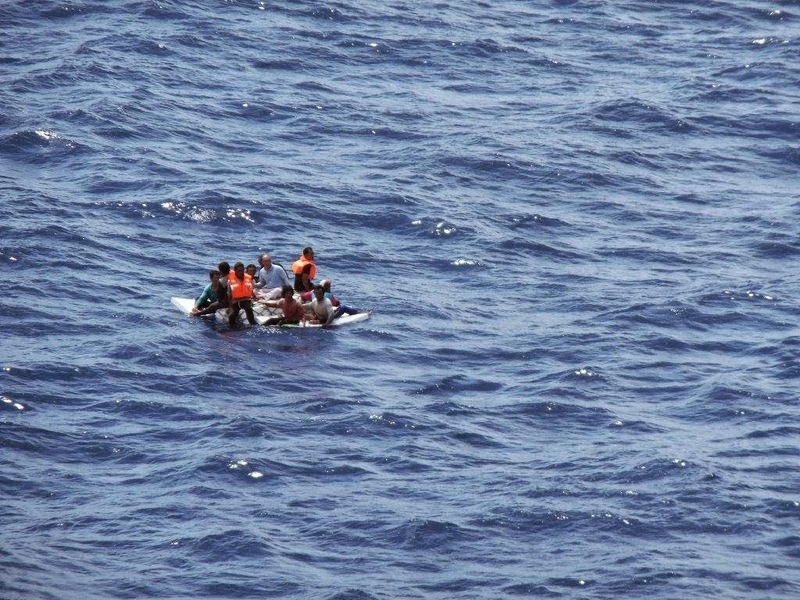 Rescue authorities requested the Carnival Conquest remain on scene and provide a lee and communications with the Coast Guard Cutter William Flores which arrived on the scene and embarked the migrants. The Carnival Conquest enrolled in Amver on October 28, 2002 and has earned eight participation awards. The final case occurred on July 25, 2014 when the Oasis of the Seas notified Coast Guard officials the crew located a rustic vessel approximately 40 miles south of Marathon, Fla. Rescue personnel requested the Bahamian flagged cruise ship provide communications until the Coast Guard Cutter Paul Clark arrived on scene and embarked ten Cuban migrants. The Oasis of the Seas enrolled in Amver on December 6, 2009 and has earned two participation awards.